In 1881, Carlo Collodi intended simply to write a children's story about an inexplicably animate piece of wood. The Adventures of Pinocchio has since become one of Italy's most successful literary exports, giving life to numerous adaptations. The novel is meaningful to college students today, as it deals with the difficulty of abandoning childhood, the value of education, and what it means to be human. This volume, like others in the MLA's Approaches to Teaching World Literature series, is divided into two parts. Part 1, "Materials," gives the instructor bibliographic information on the text and contexts of the book, the critical literature, and audiovisual and electronic resources. 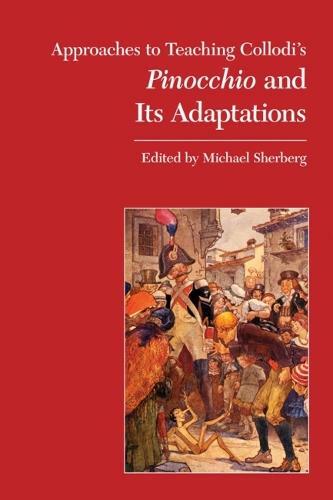 Part 2, "Approaches," contains nineteen essays on teaching Pinocchio and its adaptations, which cover such topics as Collodi's life, society in post-Unification Italy, the gothic element, the Frankenstein theme, myths and archetypes, the influence of Ariosto and other writers, children's literature and censorship, the animal fable, and how the famous Disney movie is both a help and a hindrance in the classroom.